This is the last installment of writing about the types of people who can benefit from accounting automation. 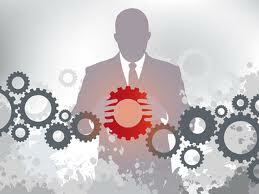 I have written about the benefits for the CFO the Controller and Technical Staff. The last group (certainly not the least) is the operational staff. I label them operational staff to encompass everyone else in the business. The operational staff are line level managers, day-to-day workers that make the business run… they are the folks that normally are thought of last when automating accounting processes. From the perspective of benefit, the operational staff is the group that may be on the fringe of the decision-making process to automate, but are the group… that if not “sold” the benefits can be the biggest problem in the change management arena. In my experience the operations staff is somewhat forgotten with accounting automation benefits. I don’t want to make the case that the operations staff should be the first group you think about when automating accounting, but when choosing a service provider they need to have a voice in the process as well as understand the benefit of automation so that can be conveyed in the training process. I learned this lesson early (like a lot of lessons I learned) to include operations before training and going live. Being somewhat ignorant of the impact of operations, I got a significant dose of lack of benefit when I did end-user training (one of my more glamorous jobs in automation). Early in my career I worked with a lot of commercial real estate companies. After working with a senior property manager, he proceeded to tell me that what I had just trained him on was more time-consuming than what he does today. My very professional response was silence with my mouth open – followed by a series of uh – uh – uh… He said that all he has to do with paper is review the invoices, scribble his name on a line and put it in a stack to be mailed to the central office. He explained that it took him seconds. With the new automation software he would have to (1) turn on his computer (this was before people kept their computers on all the time) (2) go to my site (3) log in – hopefully remembering his password (4) select an invoice (5) wait for it to load (6) check the coding and the invoice (7) click the approve button. I hope you can tell through my writing skills that he was not too happy about the new “improvements” his company had embarked on. I had taken his two simple steps to seven and these seven steps were greatly hampered by the not so stellar internet connect he had. As you can tell… I wasn’t ready for this type of objection. Here is the rest of the story… His wanting to dismiss me from his office so he could make a call to the CFO stopped when I showed how to use the defaults, reporting capabilities and (this was the big one) how easy it was to search and collect invoices now that the filing cabinets were gone. I got lucky I guess. My problem was not leading with the advantages. Then he found (over time) great joy in not having to have his staff do daily UPS shipments of invoices. Later when the payments side of the business was automated and integrated with his ERP system and the invoicing system he now doesn’t know how he lived without automation… he still has to do seven steps on approving his invoices, but all of the other benefits outweigh that one headache. Phew!